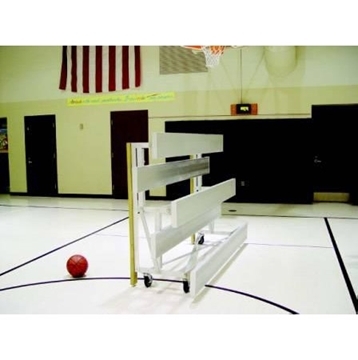 Portable School Bleachers on sale includes movable aluminum school bleacher seating and tip and roll style bleachers for school events. 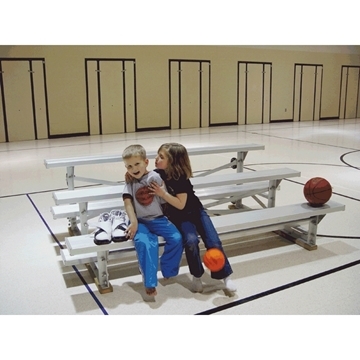 School bleachers come in standard lengths of 7.5 feet, 15 feet, 27 feet wide with row seating. 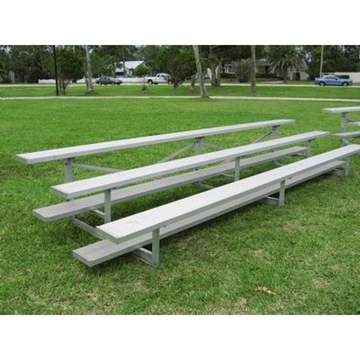 Our bleachers are the best on the market for strength and long wearing. The bolt together method of assembly is superior to welded frames of other suppliers. 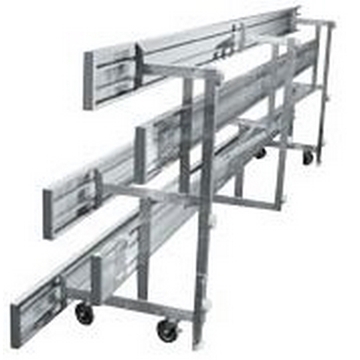 We sell both galvanized steel frames and aluminum. 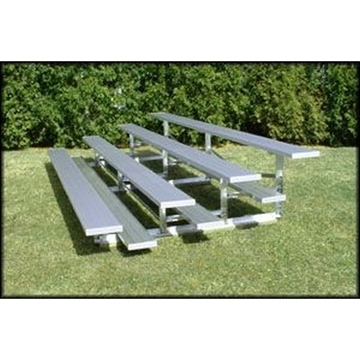 The Aluminum is lighter that the steel frames which makes them preferable for portability.